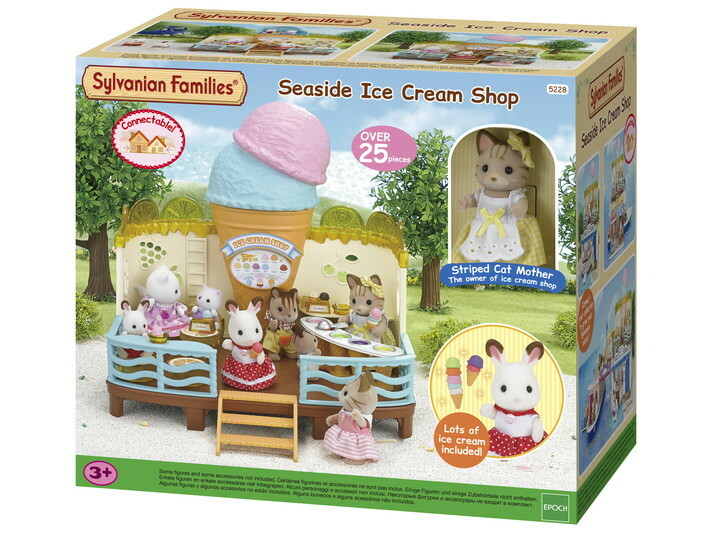 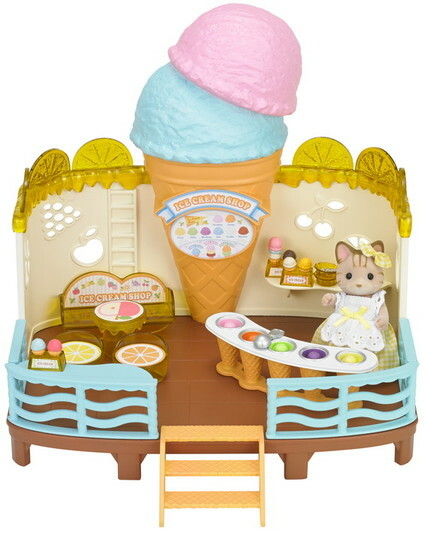 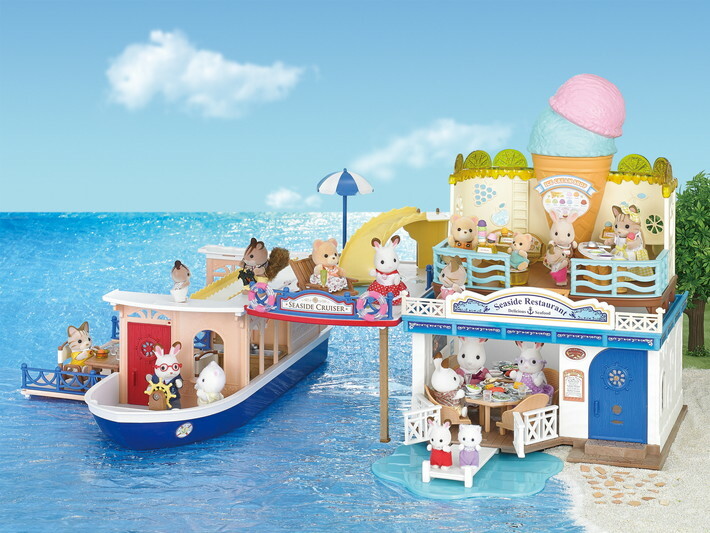 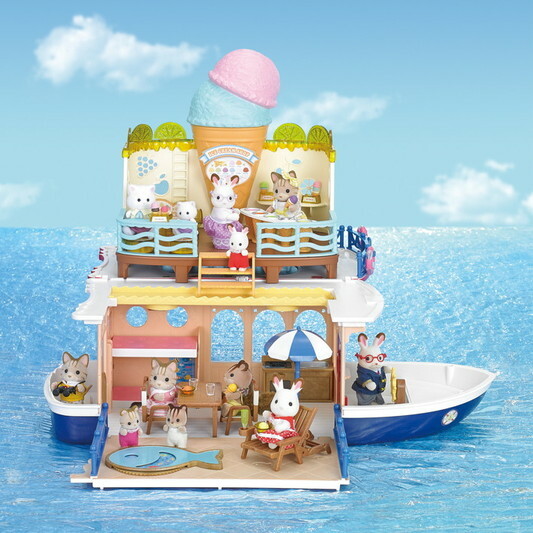 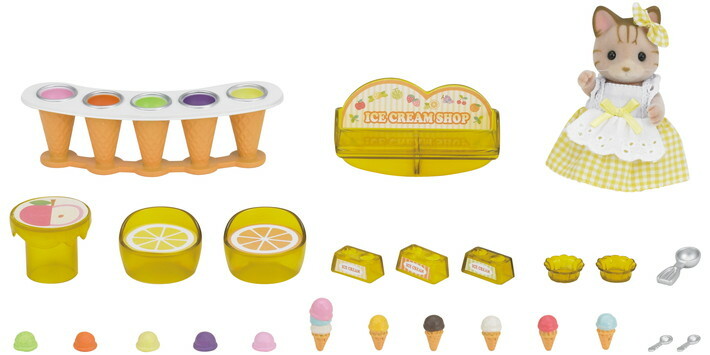 Cool your Sylvanians down on a hot summer day with the Seaside Ice Cream Shop. 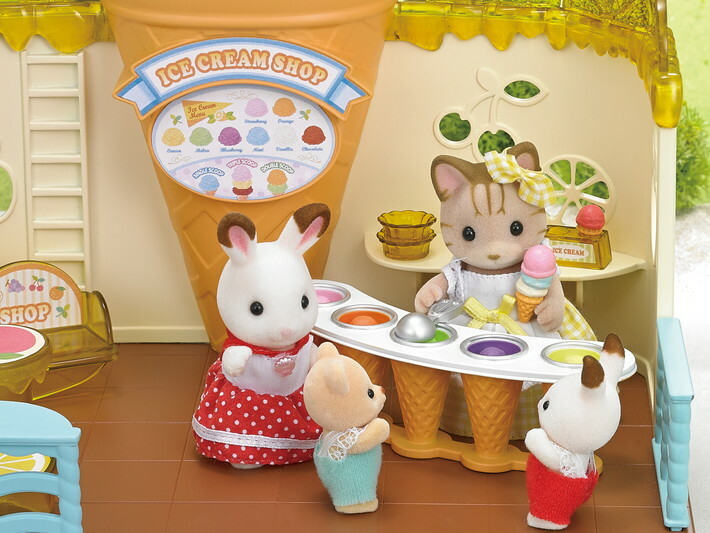 Complete with the Striped Cat Mother in her uniform, this has all the essentials she needs to serve up delicious ice cream to little ‘uns and grown ups alike! 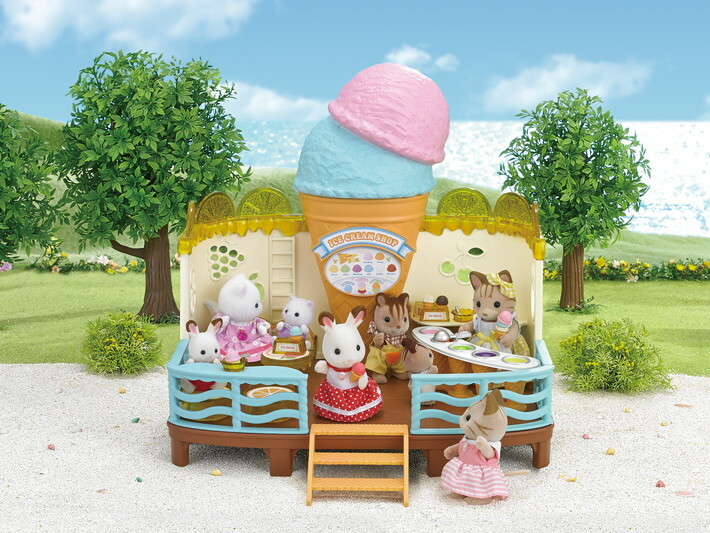 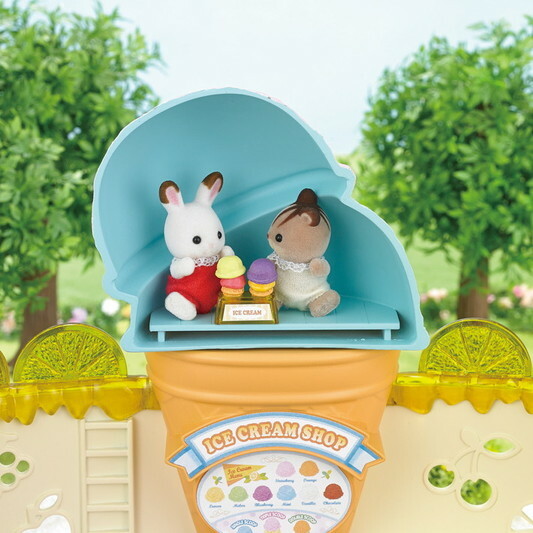 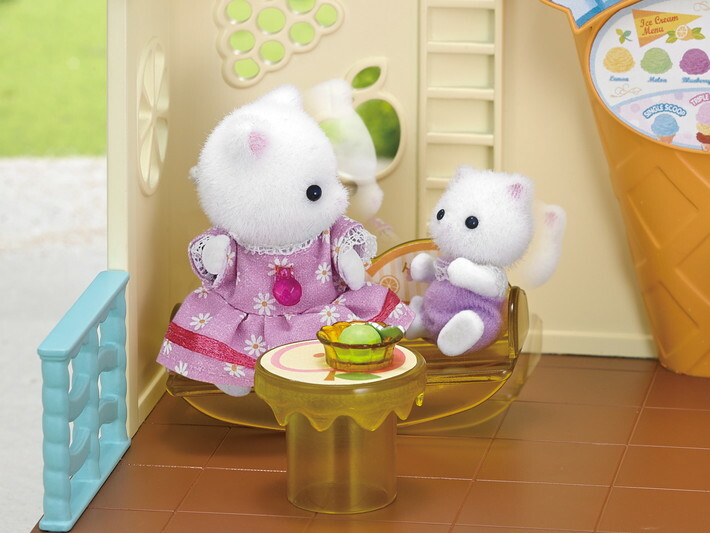 With a see-saw sofa, and plenty of tables and chairs, crockery and accessories, this is a fun way to help your Sylvanians get the most out of summertime; one lick at a time!